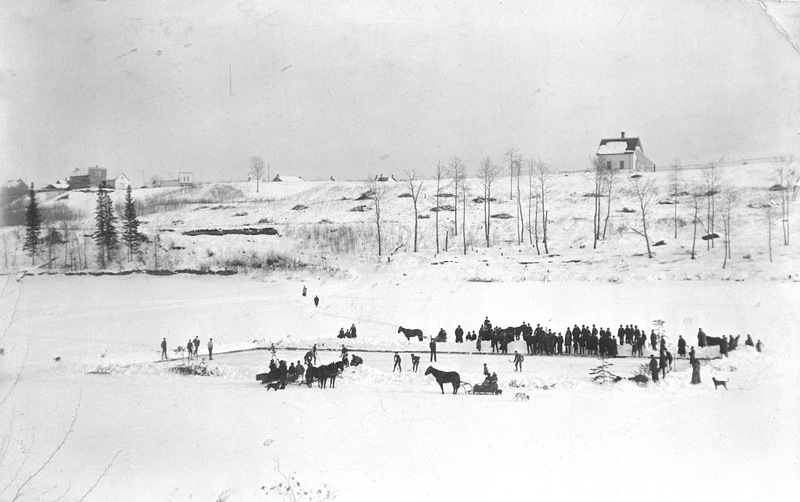 Newspaper accounts of Leo Bourgault from his days as an NHL defenceman sometimes — often, even — spelled his name Bourgeault, and called the town he came from Spurgeon Falls. 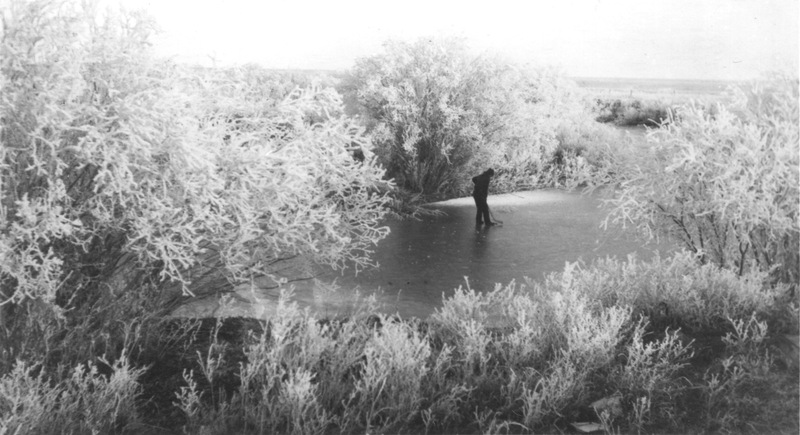 Bourgault, who was born on this day in 1903 in Sturgeon Falls, Ontario, near North Bay, died in 1978 at the age of 75. 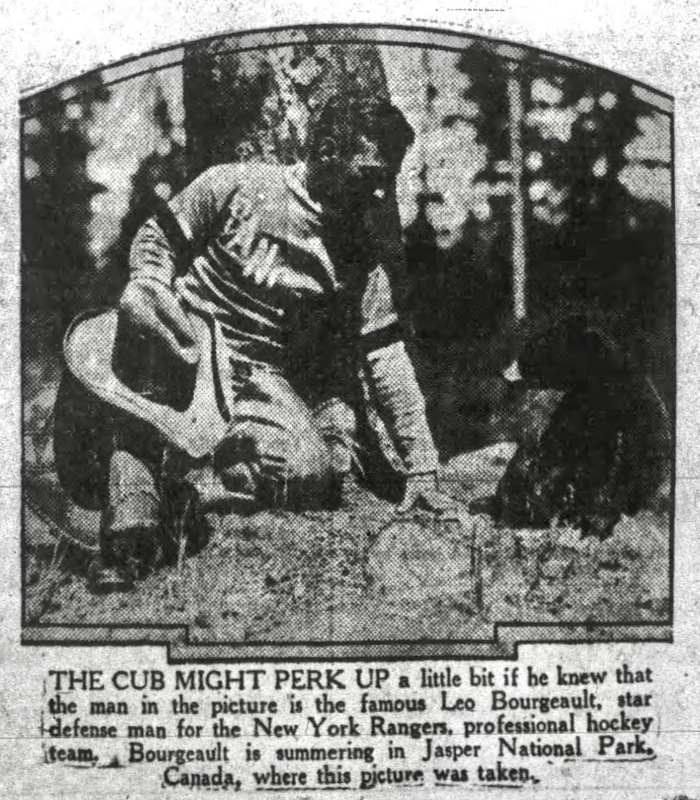 He started his professional career with Newsy Lalonde’s Saskatoon Crescents in the old WHL in 1924-25 before leaping to the NHL, where he spent most of his eight-year career as a New York Ranger, he helping them win a Stanley Cup in 1928. He had stints, too, in Toronto, Ottawa, and Montreal. As a Canadien, he was a close friend of Howie Morenz’s, and may well have been one of the Habs who wore a sweater numbered 99 during the 1934-35 season. 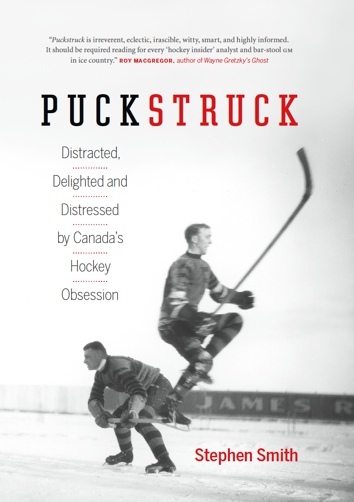 “The wide-spreading stocky little youth” is a string of epithets referring to Bourgault you might come cross, if you go searching: another is “stocky little blue-shirted meteor.” The damage he suffered as a hockey player included a 1929 lump on the face (courtesy of the Montreal Maroons) that Burr described as “the size of an Easter egg as vari-colored.” In 1927, a collision with Reg Noble of the Detroit Cougars broke his nose doubly, which is say two nose-bones fractured, and needed surgery. 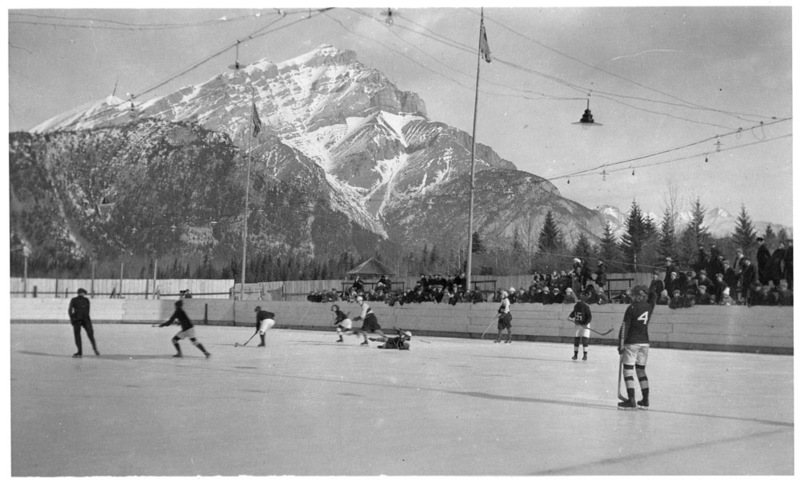 Some other summers Bourgault spent at Jasper Park Lodge, in Alberta, where he had a job as manager of the transportation desk. I don’t know whether he did any hunting out west, but he was working out, certainly, and golfing. 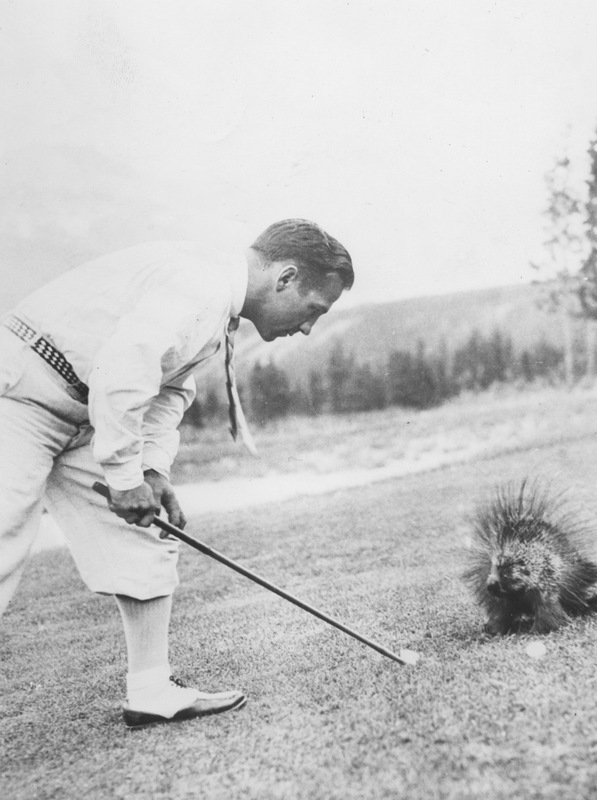 That’s him on the course here, negotiating a porcupine hazard in 1927. A year later, he met a black bear. Good to see that Bourgault was wearing his Rangers’ sweater. 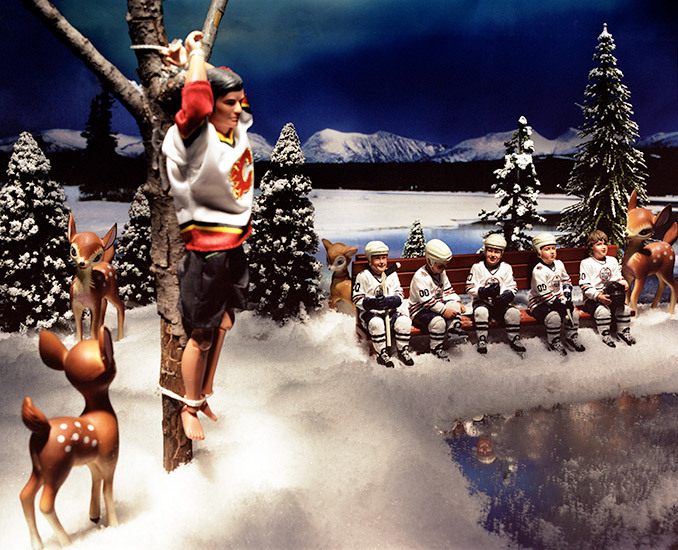 Wildlife: Winnipeg artist Diana Thorneycroft’s “Martyrdom at the Rink” (2006) is a meditation on Canadian landscape and identity, hinterland wildlife, weather, and the eternal Battle of Alberta. 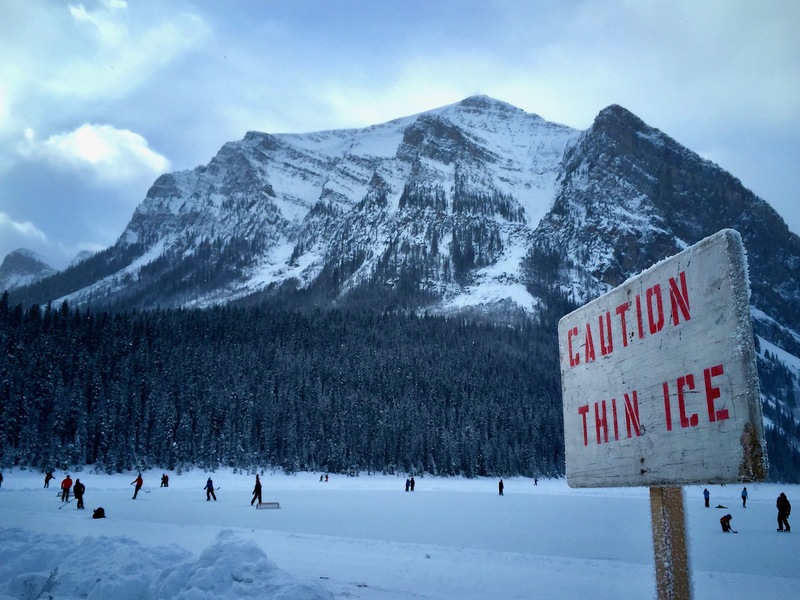 I think that’s right — could be? For a longer gaze into Thorneycroft’s wry northern vision, visit dianathorneycroft.com.